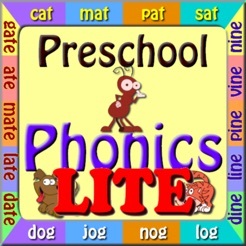 Preschool Phonics app teaches phonics and spellings for more than 650+ words. 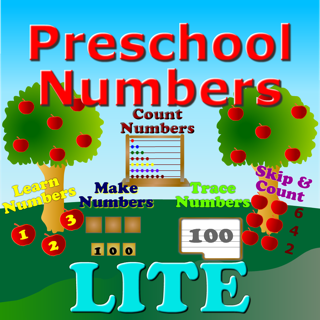 This app is designed for Pre-kindergarten and also kindergarten kids who are learning to read. 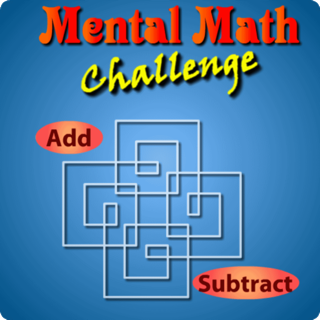 Each category is subdivided into many lists. Each list contains words grouped based on their families. 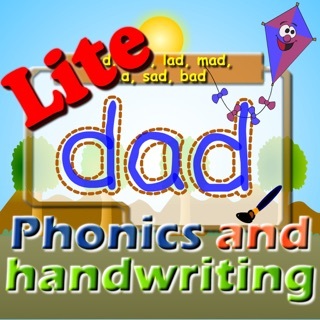 For example List 1 in Words with short a sounds has the words lab, dab, nab, jab, tab, fab words. 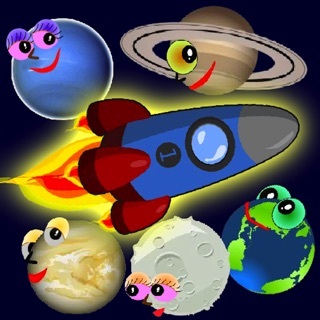 There are 6 main parts in this app. 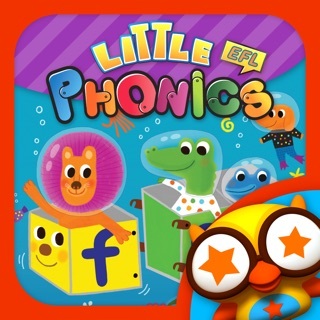 “LEARN”: In this section, kids learn all the words in each word family and learn to read them phonetically. All the words are assorted into word families. Each word will be heard in the phonetic way. 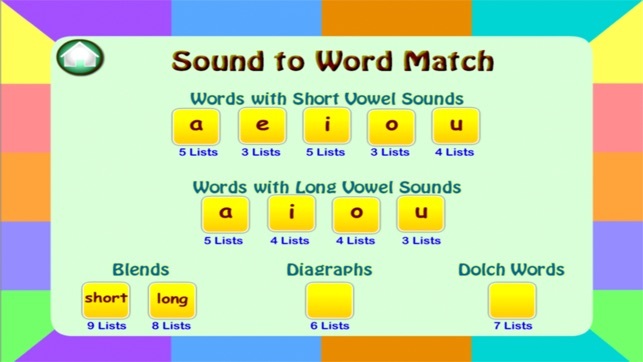 “SOUND TO WORD MATCH”: This is a drag and drop matching game. Match the word to the place where you hear the word sound prompt. 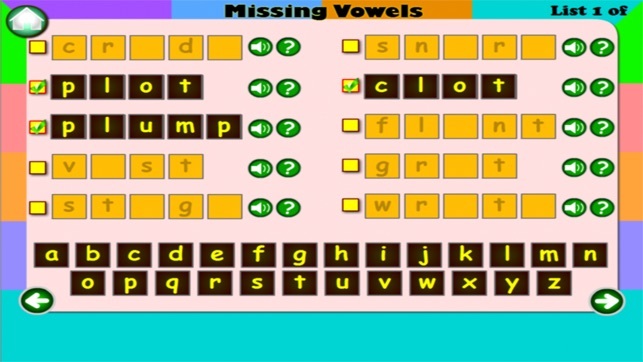 “MISSING VOWELS”: This game is about drag and drop alphabets to make that word. Tests come from 5 sections; Short vowel words, Long vowel words, Blends, Dolch words, Diagraphs. In each test there are 10 words, with the vowels missing. 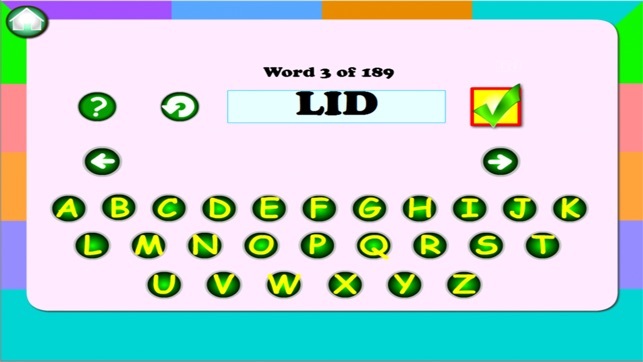 Kids should know what vowel(s) finishes that word and then drag and drop that vowel. “MISSING CONSONANTS”: This game is just like Missing Vowels. Tests come from 5 sections; Short vowel words, Long vowel words, Blends, Dolch words, Diagraphs. In each test there are 10 words, with the Consonants missing this time. 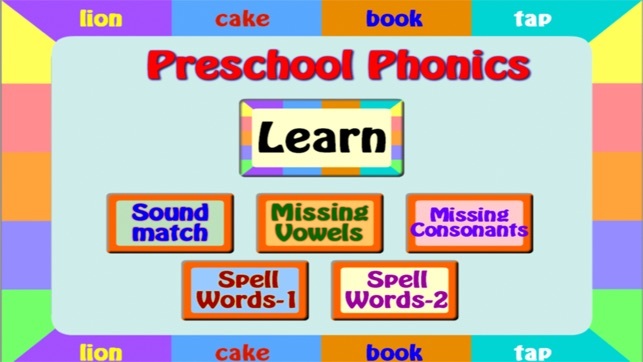 Kids should know what consonants are needed to finish that drag and drop those consonants at the right places. 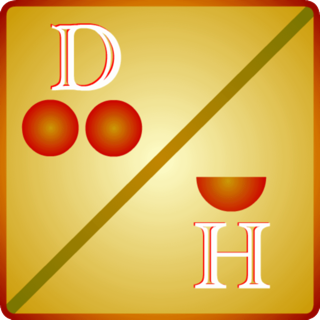 “SPELLWORDS-1”: This game is also like Missing vowels and missing consonants. This time all the letters in word are missing. 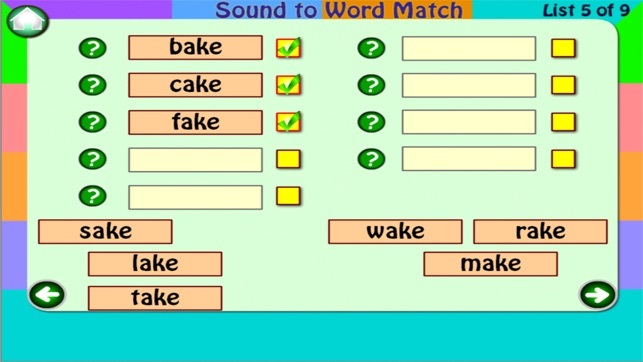 From sound prompt, kids need to figure out what word is it and then drag and drop all the letters in that word to finish it. Even in this tests come from 5 sections; Short vowel words, Long vowel words, Blends, Dolch words, Diagraphs. 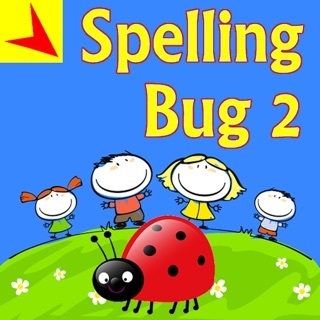 “SPELLWORDS-2”: This is nothing but spelling test. Kids need to spell the word that is asked. To make it easier, kids can get a hint for the spelling of the word. Phonetic sounds of all the letters in that word can be heard to figure out the spelling. 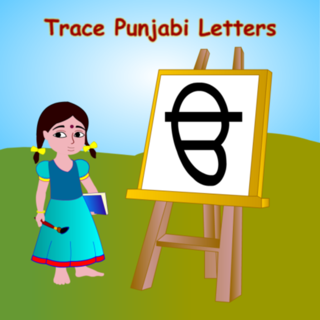 Kids need to click on the alphabets in correct order to spell the word correctly. Tests come from 5 sections; Short vowel words, Long vowel words, Blends, Dolch words, Diagraphs. 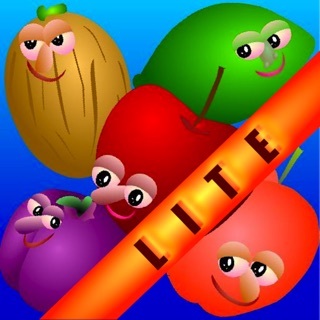 - MANY WORD FAMILIES: All the words are assorted into word families. Each word will be heard in the phonetic way.